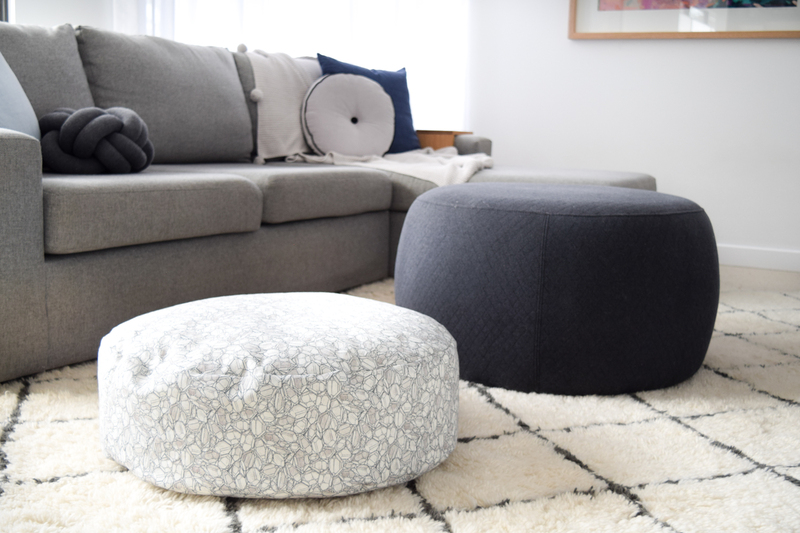 Call it a hack, makeover or personalisation… in any case, I just love this new floor cushion I created for our living room using a Kmart kids cushion. 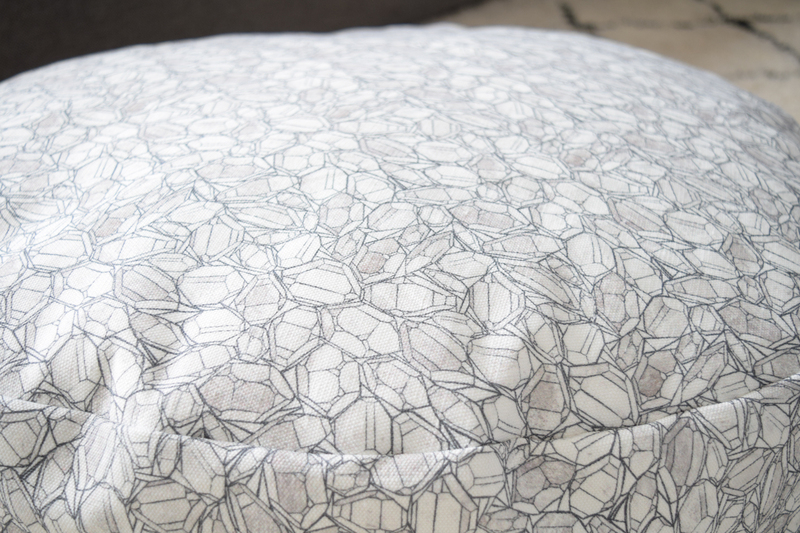 Designer floor cushions are trending right now but with a price tag of several hundred dollars, they can be a little out of financial reach. 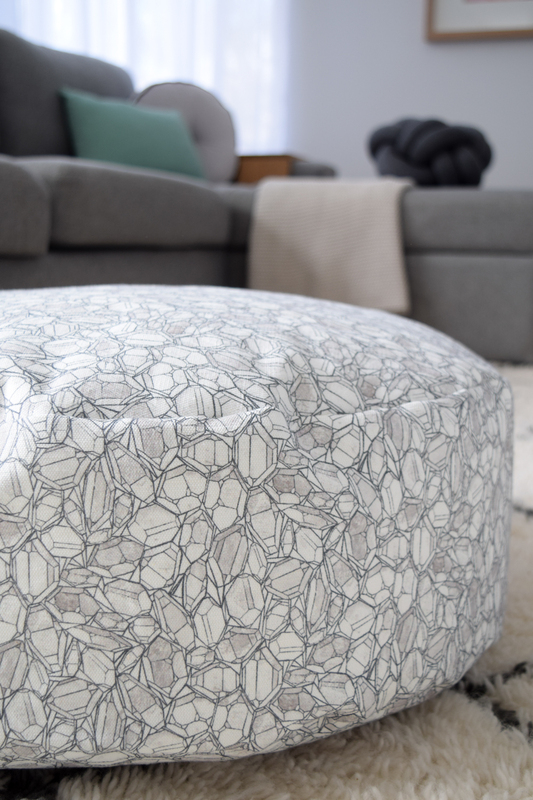 When I saw this kids cushion for just $15 from Kmart, it gave me the idea that I could simply sew a new cover — having a ready-made cushion would make it easy to create a sewing template and I wouldn’t need to worry about making a lining or getting stuffing. The hero of this hack is definitely the luxe linen fabric I got from Earthed — I love the faceted crystal design and muted green-grey colour palette. 2. Sew a 1cm seam along the length of each of the semi circles to create a clean edge and then line them up to create a circle — you’ll notice there is fabric overlap along the lengths which is what you want as we will sew velcro along the inside of the overlapped area. 3. 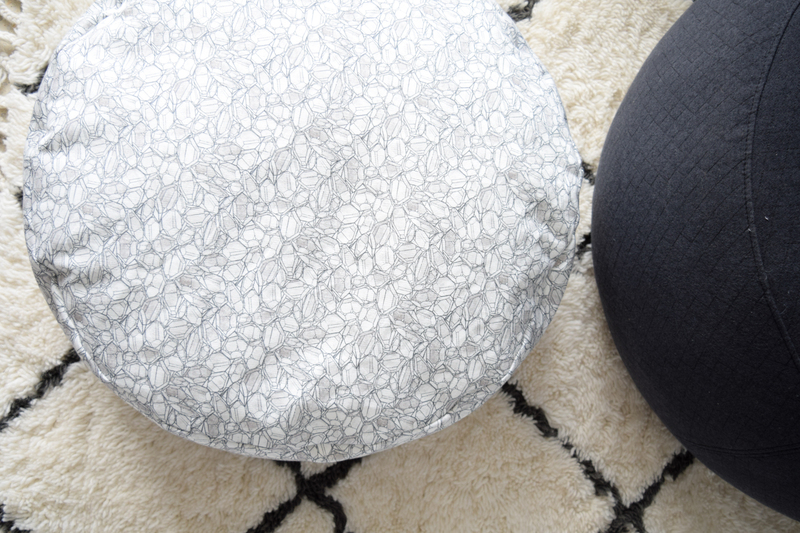 Sew velcro strips along the entire length of the underside of the semi circle pieces and then stick the pieces together — this will give you a perfect circle that can be opened by the velcro to fit your cushion inside. 4. Now the hard part is over, it’s time to sew the cushion together. 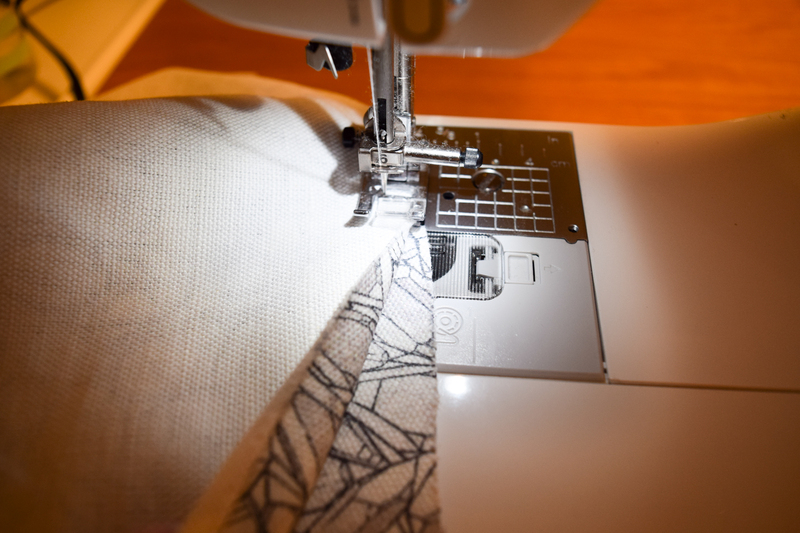 Start by sewing the short edges of the rectangle piece of fabric together (there is allowance for a 1cm seam) which will give you the side of the cushion as one circular piece. 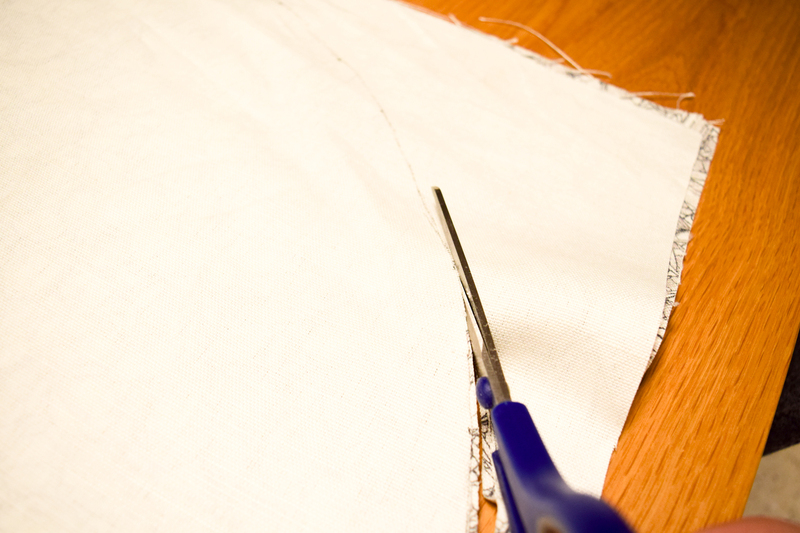 To sew the top round piece onto the side piece, simply put the two good sides together and slowly feed it through the sewing machine leaving a 1cm seam. If you’re not so confident sewing freehand, you can pin the pieces in place first but I just worked on a low sewing speed. 5. 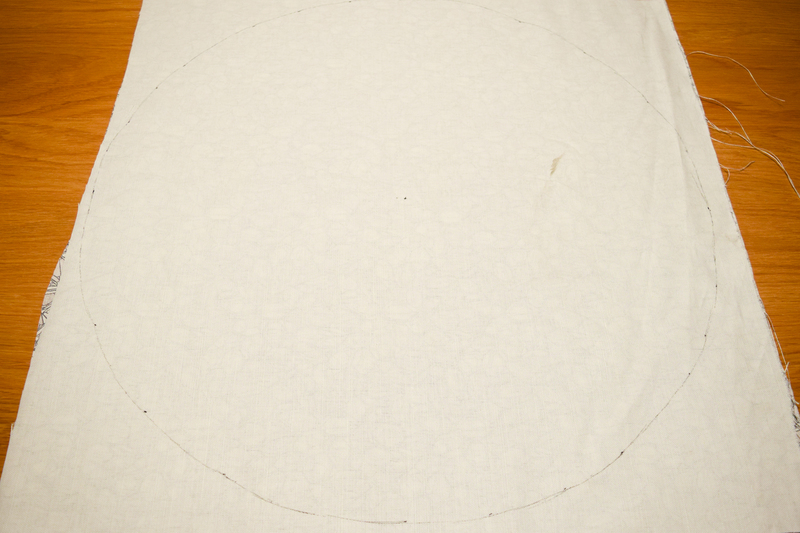 Then repeat this step to sew the other circle piece onto the other edge of the side piece. 6. Now that your cushion cover is made, turn it inside out using the velcro opening and put the Kmart kids cushion inside. 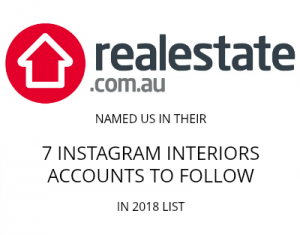 Gina is the Editor of STYLE CURATOR, an award winning Australian blog about the pursuit of a stylish home. 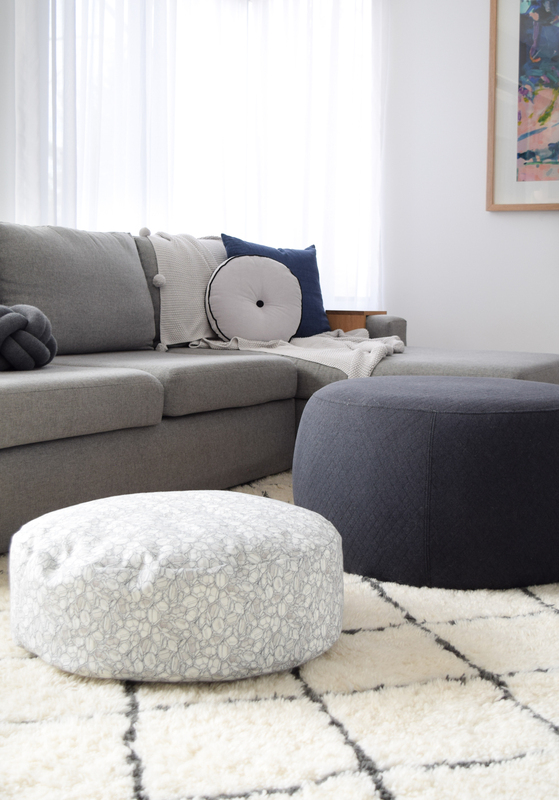 She is passionate about sharing her love of design, architecture, decorating and homewares. Having recently finished the build of her dream home, she's now tackling the never ending job of styling it. When she's not blogging or working with interior styling clients, you'll find her running after her 2 children or getting her hands messy in a creative project. Subscribe to our e-newsletter for weekly highlights!